Made with Procreate Pocket and PICBOW on iPhone 5c. Featuring the portraits “Maria and her sister”, “Emmanuel Olunkwa”, “Giovanna Olmos”, “Emilio Bianchic Zaffaroni”, “India Menuez” and “Chrissie Iles”. Giovanna Olmos is an artist living in NYC. Last year she was featured on Rhizome.org’s online exhibition “First Look: Brushes” and co-curated the 89plus poetry marathon “Poetry will be made by all” at Moderna Museet. She has performed at New Museum, White Columns, The Museum of Modern Art, Transfer Gallery and Johannes Vogt. She is featured in the latest issue of Garage Magazine and is exhibiting work at Unpainted Fair this month. 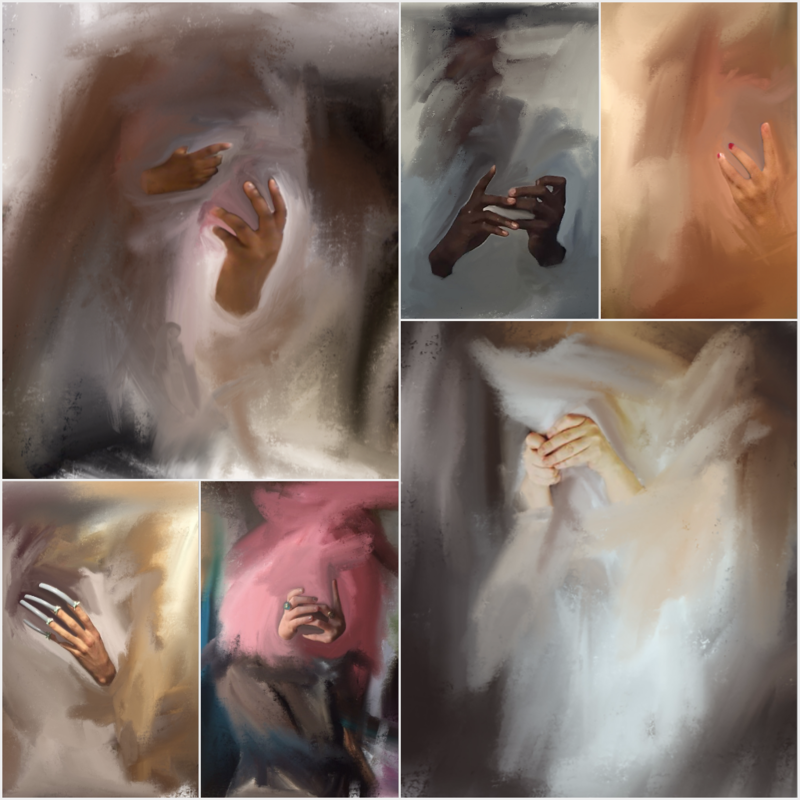 Giovanna Olmos’ practice is about how to sell a digital painting. She makes portraits on her phone using the apps Procreate Pocket, Venmo and Instagram. She is currently organizing a group auction of digital files at a church in New York.